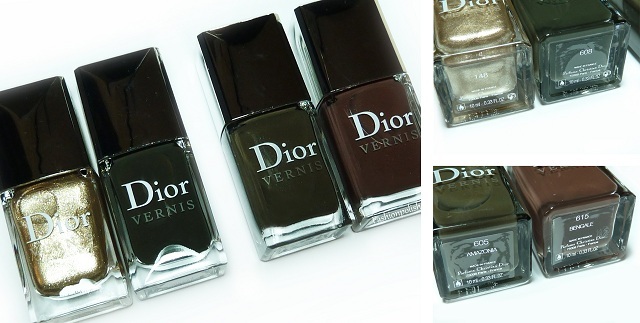 "In February 1947, Christian Dior presented his first collection to the international press in the Dior salons of Avenue Montaigne in Paris. Along with the Huit and Corolle lines that would inaugurate the era of “The New Look,” the couturier revealed another of his favourite themes: Leopard Print. Fashion editors were smitten, the room burst into applause and women rediscovered the mysterious allure of this iconic, timeless print. 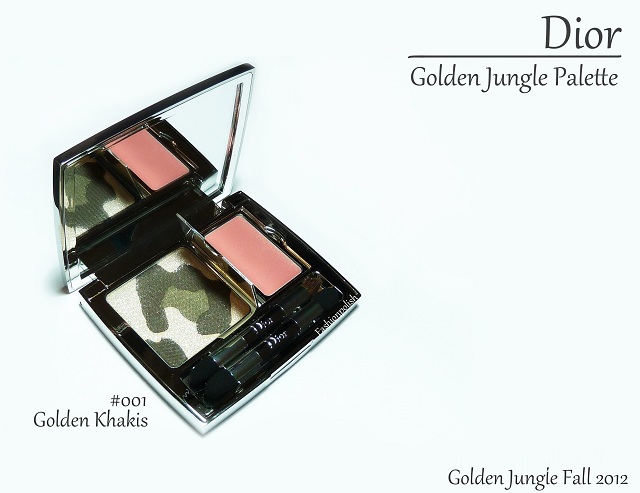 At once avant-garde, sophisticated and sensual, the Jungle Motif has been a signature of the House of Dior from its debut. Actress Marlene Dietrich and the muse and friend of Mr. Dior, Mitzah Bircard, were its first fervent ambassadors. With each decade and runway show, variations of leopard print are cleverly reinterpreted by Dior Couture. 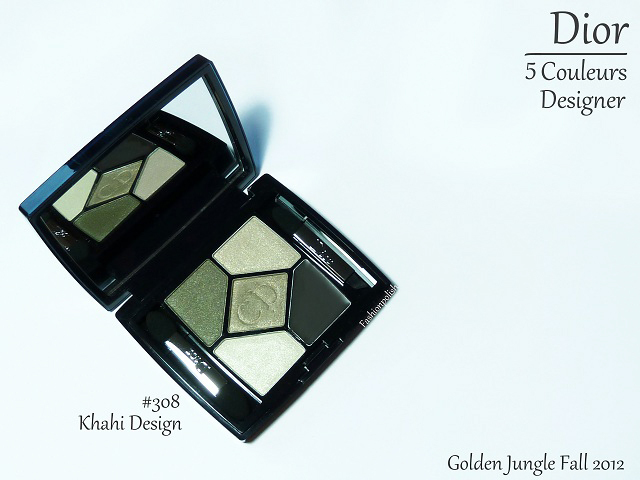 In the Dior Autumn/Winter 2012 makeup collection, Tyen revamps the Jungle Motif with another hallmark of Dior, a touch of shimmering gold, embodying the luxury of the urban jungle and inspired by the deep, earthy tones of the jungle." I don't know about you but I absolutely loved the Jungle theme the minute I saw the first promo pictures! 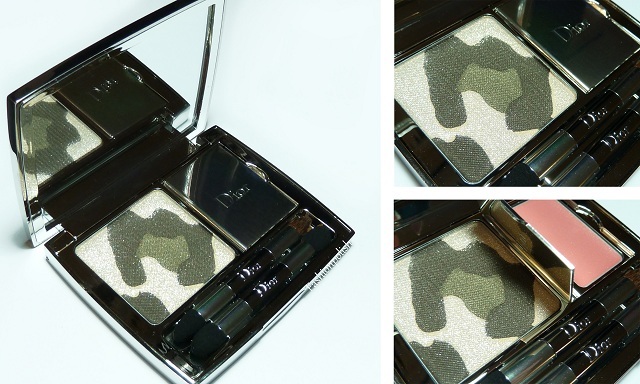 While beautifully packaged in a sturdy silver, the Golden Jungle Palette is not just about the looks. 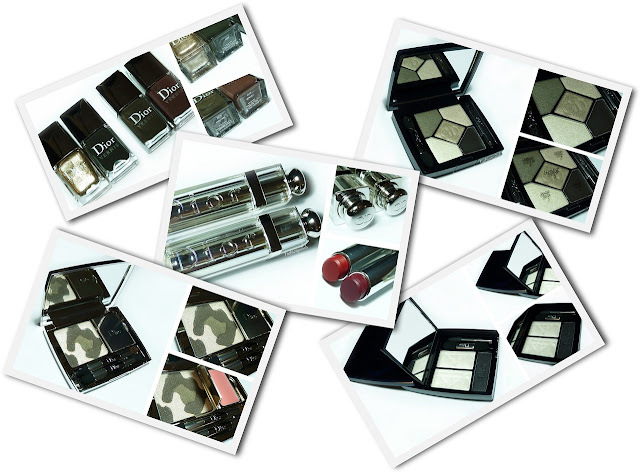 The eyeshadows offer color saturation and excellent pigmentation under a overspray of sparkle and the non-sticky lipgloss a high shine and visible plumping. 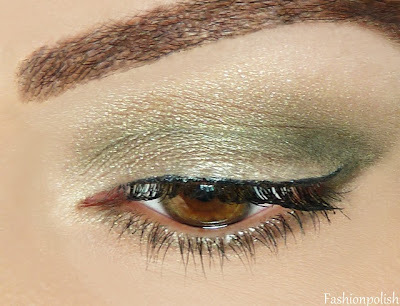 Revisiting the usual 5 couleurs palette by adding eyeliner, all is at hand for the perfect matching eye look. 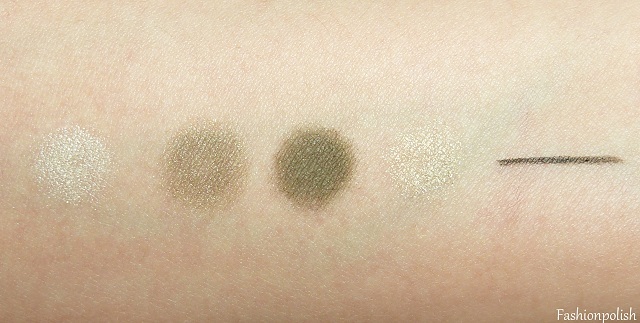 I found the color payoff to be decent but not extraordinary on the lighter shades and actually really good on the others. The color range on the other hand was fantastic! I don't think I could get over how amazing the sliding case is haha... 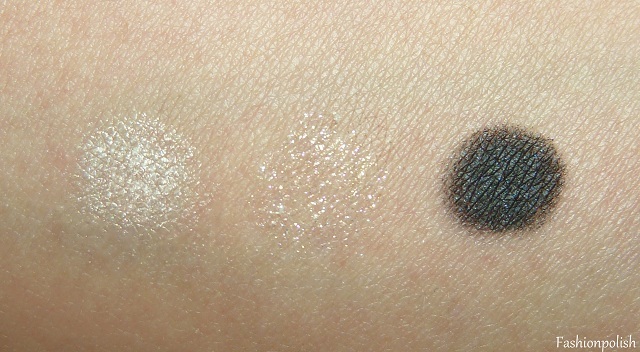 I wasn't really sure about these shades but the ivory shadow proved to be really well pigmented without being too harsh and the sheer sparkle absolutely fantastic with its pink and green particles. As for the liner, the color saturation was simply outstanding. Completely different from what I would have expected, these Fall shades deliver a natural look instead of a heavy or creamy glaze. I found it very refreshing and I can already see myself wearing them a lot, especially considering how moisturizing and comfortable they feel on the lips. 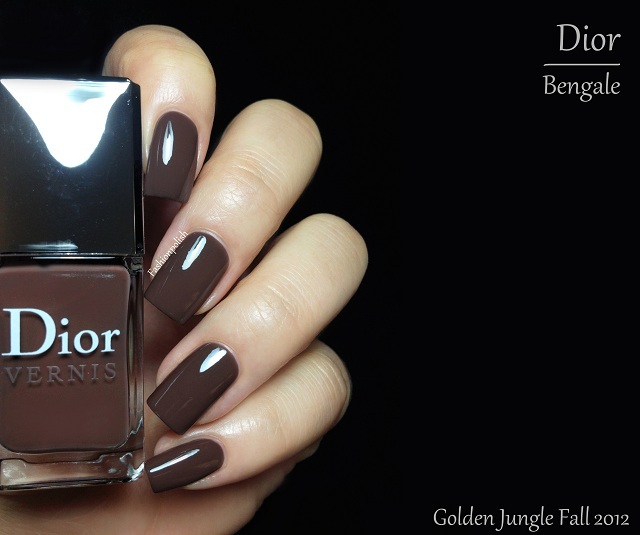 Bengale is a very warm and yet somehow muted hot chocolate brown. It has a slight purple hue that definitely sets it apart but what I would love the most is how deliciously creamy it looks on the nails. It dries darker on than in the bottle and if you could get instant "chocolate comfort" just by looking at your nails, this would be the shade to wear! Application was perfect and easy in 2 self leveling coats. This is 2 coats plus topcoat. Amazonia probably is the most anticipated polish of this collection and I can gladly tell you that it has found no dupes in my stash. 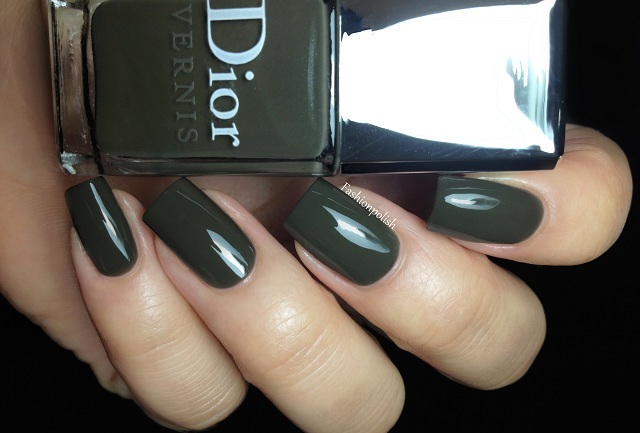 The strong cool tone combined with a darker khaki prevents it from looking similar to other military greens and I love how elegant and edgy it is. 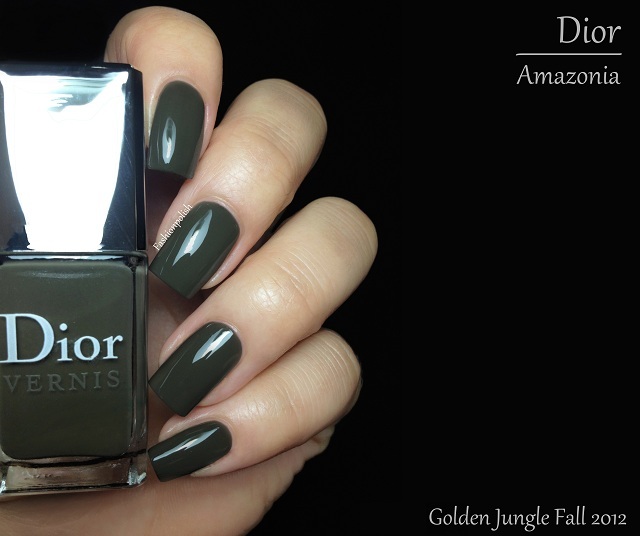 Formula was just as perfect as Bengale and you're also looking at 2 coats plus topcoat here. 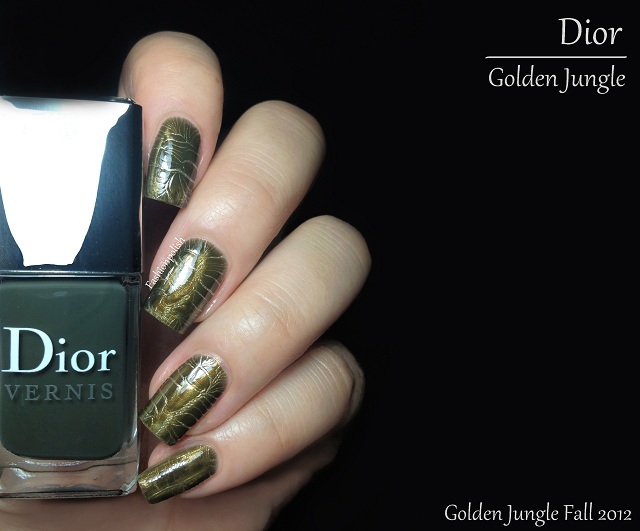 Golden Jungle consists of an almost foil gold with lots of sparkle and a khaki crocodile leather effect topcoat. The box comes with instructions and states to wait a maximum of 2 minutes before applying the topper but what it doesn't say is that the crocodile effect takes a good 5 minutes to achieve so you should take that in consideration should you want to go for a quick manicure. This being said, I found the gold base to be a huge win on its own and definitely worth buying the whole set. 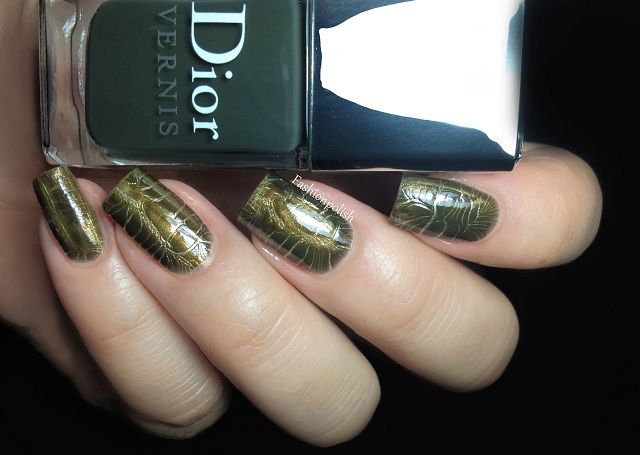 I'm still undecided about the crocodile look as a full mani though, I think I'd rather use it as an accent. This is one coat of each shade and topcoat. What do you think? Are you in the mood for Fall yet? What about the "crockle" effect? Wow the croc effect is really interesting! I haven't seen anything like that yet! 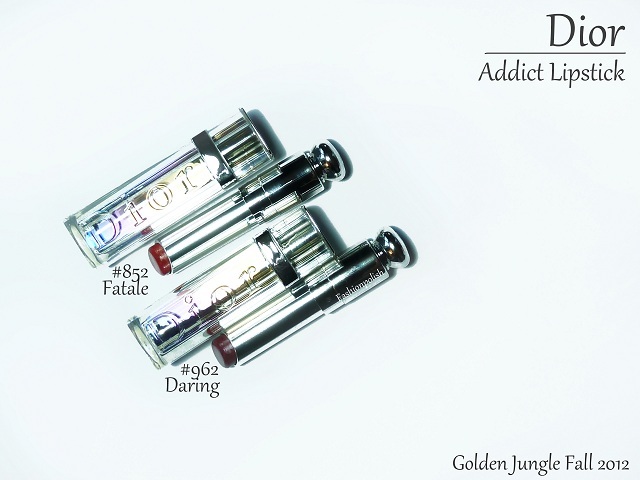 As to the eyeshadows and lipsticks I have been a fan of the lip glow line for the longest time. They are so hydrating and the perfect consistency. They only down side is that they fade away much more quickly than their traditional matte line of lipsticks. I love the "crockle"! And Bengale is just stunning. 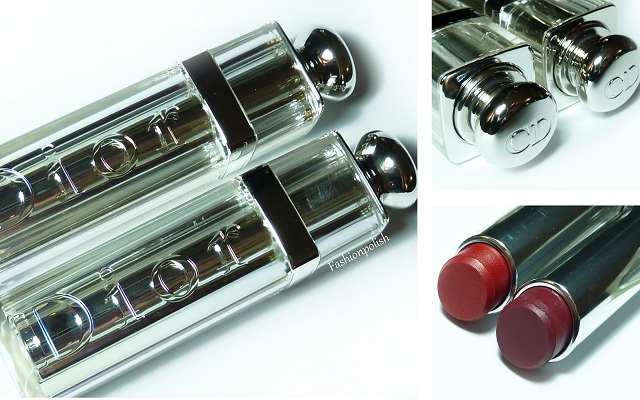 Both the lipsticks are just beautiful, too...wish I had a money tree!! May have to splurge on Golden Jungle anyway; the effect is just SO cool!! I'm absolutely in love with the Amazon and the Bengale even having dozens of green and brown around. The crokle effect makes me doubtful. I dont like things cracked on my enamel. Woah. I think I might have to get that top coat set. So cool! Thank you very much for this concise and compact overview!!!! Your Description is just what I like to know about any New Palette of make-up. Beside this, I believe these colors will appeal to many of us since the colors are wearable and versatile. I bought all 4 polishes (ehem) and sofar tried the duo only. While I Love the effect I find it not very easy to apply and had to redo several of my nails due to either to thick or thin layer of "crockle" (love that word) coat. I wish I could get everything from this collection! 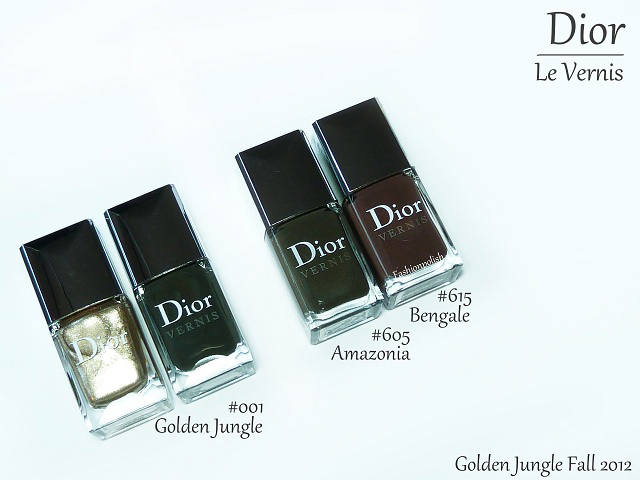 I got Amazonia, but the rest looks so beautiful and wearable too! The only thing I have to complain is that you have perfect nails AND perfect lips AND beautiful eyes!! How unfair is that?? Hahaha I'm joking of course, I love to see your make up reviews!! I love the lipsticks and the croco polish! 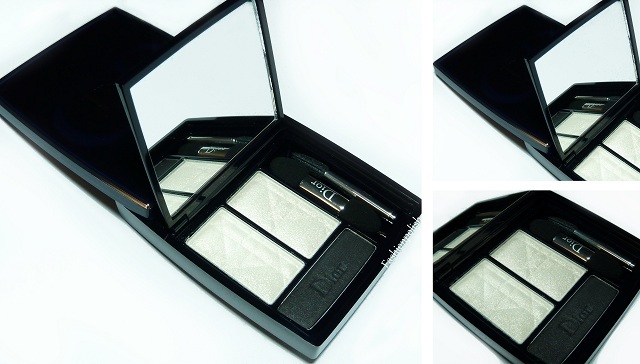 I'm a huge fan of Dior products and always so excited when I see new collections! I bought the nail polish duo! I love the gold! The crocodile effect looks great as an accent, as you said, especially if you use it with Amazonia on your other nails, I think! I want Amazonia and Bengale now...I was not really interested in Bengle until now. It looks just so perfect on you!! 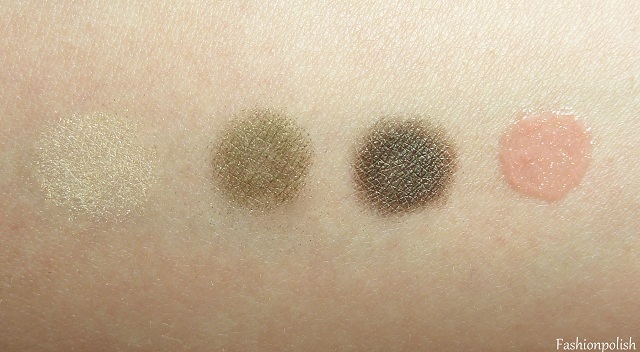 the eyeshadow quad is gorgeous, I love the colors!! The crockle is so weird! Mega mega weird. It looks like real crocodile skin! It's definitely not something I'd wear myself, but that croc effect is awesome! They totally nailed it, it almost looks real! Love the Bengale polish!! 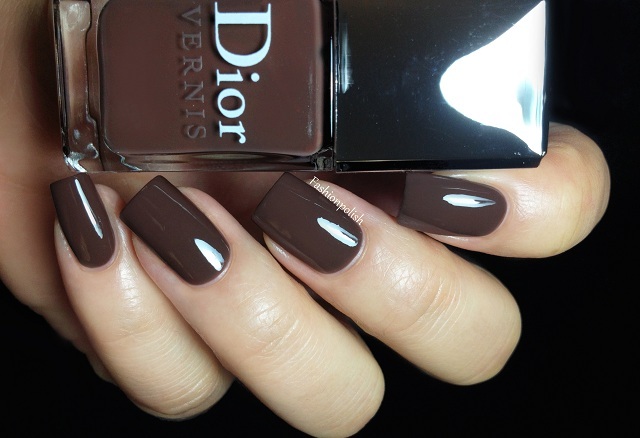 I actually dont have a color similar to this shade of brown. So pretty for fall, would go with almost anything, i think. Must have:) thanks for doing such a great job!! Wow, your eyes and lips are as beautiful as your nails and your make up skills are obviously great. You really must do mor EOTDs and FOTDs. Love. Love. Love. Love. Love the crocodile effect. Not usually into crackle-type polishes, but this effect is stunning. The lip colors are right on! Great collection, and great pix. Now, I want. Wah. LOL. 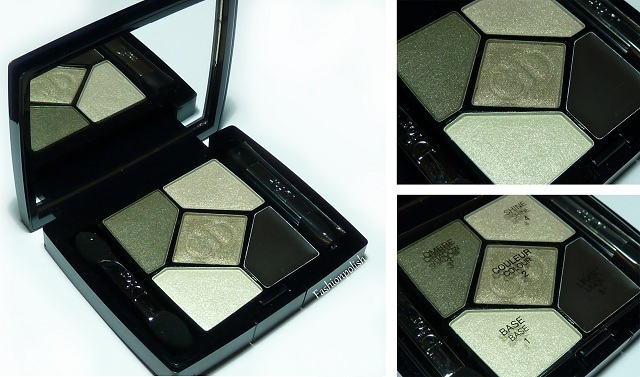 Dear lord, every colour in this collection is right up my alley, especially the 5 shades pallete. 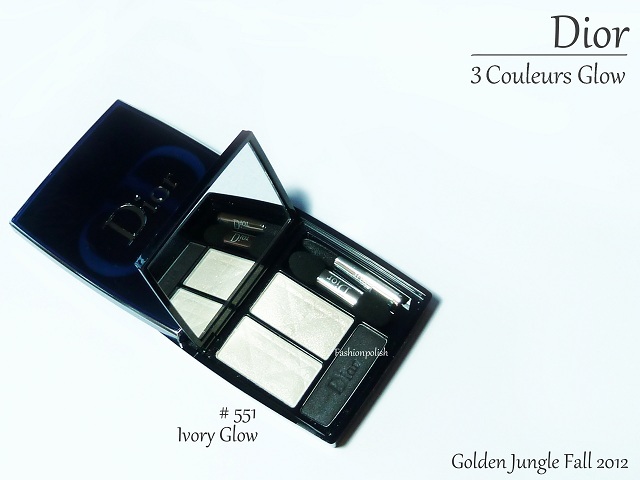 Amazing, too bad I can't really afford Dior.